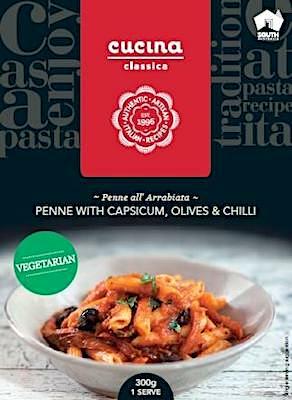 Australia/Canberra: SPQR Holdings Pty Ltd, a Windsor Gardens, South Australia establishment, recalls certain batch/lots of Cucina Classica Penne all’ Arrabiata Meals due to suspected incorrect use-by dates and resultant risks of consumption of spoiled product and possible bacterial or viral infection, severe illness and/or possible life-changing complications, all serious health hazards. According to the ACCC, this recall was initiated after an incorrect use-by date was printed on the Pasta product and Pasta sold into the Australian marketplace. All Pasta products with a use-by date code of 13MAR19 are affected by this recall. If you believe you have purchased or have in your possession the recalled Cucina Classica Penne Pasta Meals, please do not consume them directly nor use them as an ingredient in another dish or preparation. Instead, kindly return the product to the store where you purchased it for a full refund. ==> To see other recalls and notifications caused by suspected contaminated, adulterated or mislabeled Pasta, please search for “pasta” using the Search Box at the top of this page. ==> To see other recalls and notifications for products manufactured, marketed and/or sold by SPQR Holdings Pty Ltd, please search for “SPQR Holdings” using the Search Box at the top of this page.